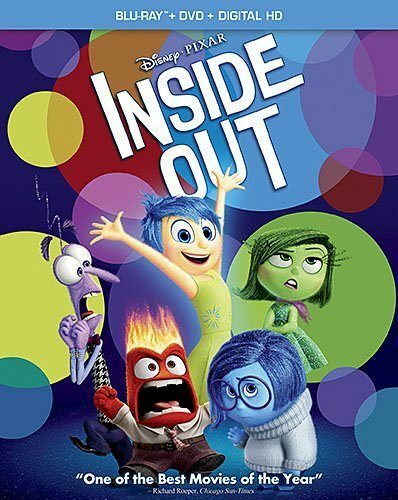 Inside Out Blu-ray/DVD Combo Pack + Digital Copy Preorder Only $22.99 (Reg. $39.99)! You are here: Home / Great Deals / Amazon Deals / Inside Out Blu-ray/DVD Combo Pack + Digital Copy Preorder Only $22.99 (Reg. $39.99)! If you kids enjoyed seeing Inside Out in the theater, you will not want to miss this great deal! Right now on Amazon you can preorder the Inside Out Blu-ray/DVD Combo Pack + Digital Copy for only $22.99! Plus it comes with a Pre-order Price Guarantee! Order now and if the Amazon.com price decreases between your order time and the end of the day of the release date, you’ll receive the lowest price.